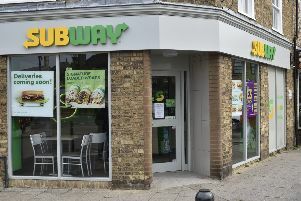 There are hopes that the chain will back a new store and business park with planning permission having already been given by Fenland District Council. Developer Bruce Smith of Whitacre Developments, who made the approach to Aldi, has said he is taking legal action against Sainsbury’s for breach of contract. Mr Smith said Aldi was looking to build stores in small towns next year, but that no discussions have taken place about a store in Whittlesey. Whittlesey does not have a major supermarket in the town, so the decision by Sainsbury’s in January to axe a planned store was a big blow. It came seven months after planning permission had been granted for a supermarket, 54-acre country park and health centre in land off Eastrea Road. A spokesman for Sainsbury’s said the plans had been shelved due to a change in shopping patterns. Sainsbury’s won permission to build the supermarket in Eastrea Road ahead of Tesco after a lengthy legal dispute. Tesco was also due to open a store in Station Road, Whittlesey, but mothballed it in January 2015, as well as a planned store in Chatteris. The chain then agreed to set up a £20,000 ‘community fund’ to benefit residents in both towns.